The joys (and tribulations) of making homemade date honey. Silan (also known as Ha’lek) is an an ancient Babylonian date honey or syrup that many Iraqi Jews today prepare as their form of charoset for the Passover Seder. Unlike other date charosets, Silan requires a tedious process of boiling down, squeezing, mashing, and straining until you reach the proper consistency. I knew that the Iraqi chapter of my Passover cookbook would not be complete if I hadn’t tackled this recipe myself, and after speaking to various individuals about Silan, I was intrigued (and sufficiently warned): “It’s a lot of work and you need an enormous amount of dates to give you just a few cups of the syrup,” one Iraqi man told me. “Make sure that you enlist the help of a strong man to help you squeeze out all those dates,” replied one woman. And lastly, “I made it once and it was a disaster. I had to throw my shirt out afterwords — what a mess,” said a third younger woman. But the overwhelming response from those who grew up with Silan was simple: “There’s absolutely nothing like it. It’s divine. It’s pure liquid gold.” My challenge had been set. Note: For more on Silan, please see my August of 2013 post. 1. Place pitted dates in a very large 5- or 6-quart pot with the water and bring to a boil over very high heat. Reduce to medium-high heat and skim off and discard the foam with a large spoon. Boil, uncovered, for 1 full hour. 2. Layer a large, fine mesh strainer with 3 large pieces of cheese cloth (it should hang over the sides by at least 6 inches so that you can gather them up and tie it into a sack). Place the strainer lined with the cheese cloth over a large bowl and pour the hot dates with all of its liquid over it. Gather the ends of the cheese cloth up and twist it into a large sack. Allow the dates to cool long enough for you to be able to squeeze the liquid out by hand, about X minutes. 3. When cool enough, squeeze the sack of date pulp as hard as you can to extract any further liquid that can come out. Discard the sack and all of the date pulp and return the pot with the date liquid to the stove. Bring to a second boil over high heat, reduce to a medium-low heat, and continue to boil, uncovered for 1 hour 15 minutes. 4. 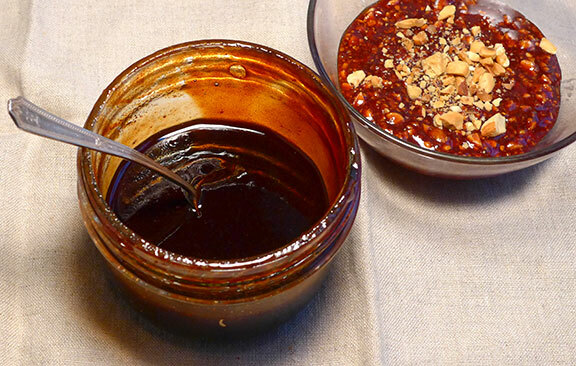 Remove from from heat and cool completely before pouring into one or two jars. Seal tightly and store in a cool, dry place or at room temperature for up to 1 month. 5. To serve, pour into small glass or decorative bowls and allow individuals to serve themselves.